IN ORDER TO BE ENTERED INTO OUR PRIZE DRAWING YOUR ENTRY ***MUST*** BE IN OUR GALLERY http://www.backporchmemories.com/galler ... p?cat=1134 <------ here. Put your entry in the folder on the left-hand side that says "Margy's Challenge." Thank you!!! I started doing Project Life this year. I'm having so much fun with my "everyday" photos. Believe it or not, the biggest challenge for me besides finding the time to get it done, is getting my landscape and portrait photos to work with the page protectors (or in my case the digital templates of the page protectors). So for this month's challenge, I'm taking a break from the photo orientation dilemas and going square! I love square photos. They're easy to design around, and they balance nicely with the rectangular 8.5x11 pages I make. My challenge for you is to use a square as a main element on a layout. It can be a photo, a hunk of paper you love, or an embellishment. You'll love the balance you create when all things are equal! You have from now until midnight Eastern time on February 28 to complete the challenge. You may complete as many projects using the challenge as you wish. Each project will earn you an entry into our monthly prize drawing. Please upload your layout to our gallery in the appropriate "February '13 Challenges" folder to be eligible for the prize. 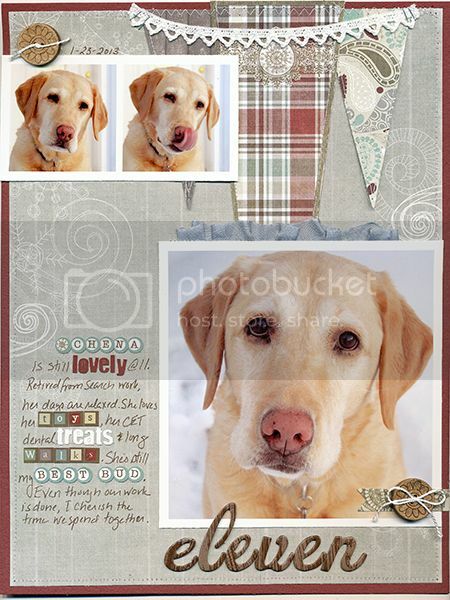 Love your page, Margy - your dog is just the cutest! Love your page with the mixed alphas! Great challenge! Cute layout and great challenge! 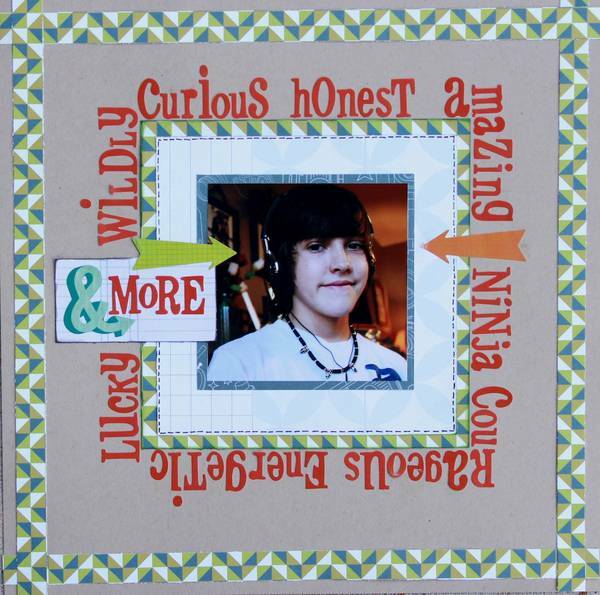 I love to square up a photo when the background has something in the background I do not want to scrap or has a color that clashes with the papers I want to use. I used a square for the focal photo along with 2 smaller square photos. Also the gold background paper and the frame opening are square. This is a great challenge. Thanks! Your page--and dog are adorable! LOVE YOUR LAYOUT! your dog is beautiful! Very nice, Deanna! Cute photos! I used one big square out of the squared pp for this. Great layout Sheri! I love Cozumel! this was a challenge for me, Margy!! Did I count SIX squares, Misty? And that's not even counting the little squares in your patterned paper!